Summer came early to Iowa this year, and it's roughly 90 degrees on the late May morning when I pull up to Tassel Ridge Winery, not far from the town of Pella. Acres of vineyards, a striking interruption amid undulating fields of more traditional crops, are by now well on their way—vibrant, alive, almost tropically green. I've never visited a winery in Iowa before, but it's high time, I'm thinking—there are now more than one hundred wineries here. Ducking into the relative cool of the tasting room here at Tassel Ridge, with views out to the fields and vineyards and straight down to their production floor, I'm not sure what to expect. We're making wine everywhere in America these days, and often that wine can be very good, or at least very interesting, often in places you'd least expect. Iowa definitely has that latter bit nailed—most people probably aren't aware that there are now seven wine trails in the state, for example, but there are. Could Iowa be one of those great surprises? Inside, where a sign lets me know that a "bistro-style" lunch is being served today, a large group has commandeered the tasting bar. They appear to be having a grand time, even though we're barely into the bistro-style lunch hour, and I find myself staring intently at a display of the establishment's most award-winning wines. The wines here have names like Brianna, Edelweiss, Marquette, La Crescent—I feel like I've been handed the attendance sheet from a fashionable private preschool. There are berry wines, there's a Pink Catawba, something called Rockets Glare Rosé; there's even a chocolate-flavored dessert wine. I don't know these wines. I'm in uncharted waters. I need an adult. Touching up against states with long and proud winemaking histories, for instance Missouri, Iowa first planted grapes ages ago, later turning tail on that aspect of their heritage, only to return much later in the game. Summerset Winery, near Des Moines, is now considered to be the oldest winery in the state—they've been open since the late 1990's. Not so coincidentally, that's the decade when the concept of cold climate viticulture began to take hold, when researchers began getting serious about the idea of grapes designed specifically for places that get as cold as Iowa. You'll find these hybrid creatures in a lot of places along North America's top end, but nobody in this part of the country appears to have been quite so gung-ho as Iowa, where dozens of grapes—both native and hybrid—are now being grown on more than 1,300 acres of vineyard, all across the state. Coming for California? Hardly—but there's an enthusiasm for the wines being made here that feels like the start of something, and I'm determined to know more. Turns out, I don't have to look very far to find an adult expert person—just a few minutes away, back in Pella's cute-as-a-button downtown, Tara and Jeremy Kohlhaas own and operate The Wijn House, a shop dedicated entirely to Iowa wines. Most Americans have heard of the high-quality windows that bear Pella's name; fewer are likely aware of the fact that Pella is actually a town, and not only just a very nice town, but one extraordinarily committed to the celebration of its Dutch roots, which explains why the wine shop is called The Wijn House. Just a few doors down from the busy corner of Main and Franklin Streets, where you can throw a rock and hit two very good Dutch-American bakeries and two world-class smokehouses that ship their top-notch product all over the region, Tara and Jeremy, both Iowa natives, opened the shop in 2016 because they thought Pella needed a good wine store. Something like novices to the craft, they began investigating the local wines, thinking that perhaps it might be nice to sell some of them. Very quickly, they figured out that they were going to have a hard time choosing which ones, and it was soon settled—The Wijn House would focus strictly on the wines of Iowa. "The oldest winery in the state has only been around for about 30 years or so," says Tara Kohlhaas, taking one of the comfortable chairs set out in the center of the store, a relaxed place that explicitly invites loitering of the civilized kind. "We've been doing wine well for about 10 of them," she says, laughing. "There's been a lot of great progress, and a lot of people asking the question, what grows well here, and what will make great wine?" And where exactly is that great wine, right now? Kohlhaas was kind enough to lend her expertise to a list of wineries to look for when you're here, as well as which grapes are doing really well right now, grapes you should be looking for, no matter where you end up tasting. Just minutes from I-80 and the pretty villages that comprise Iowa's historic Amana Colonies, even the most committed cross-country traveler can make time to taste what Kohlhaas considers to be one of the most interesting wineries in the state right now. "Try everything," she says, but start with their Crownfire, a blend of estate Marquette grapes and California Cabernet. This mom-and-daughter powered operation is truly a labor of love, and they mostly focus on estate-grown grapes. "Their estate Marquette is really good," says Kohlhaas. There's no tasting room at their modest operation just east of Cedar Rapids, but they do off-site tasting events, if you're curious. 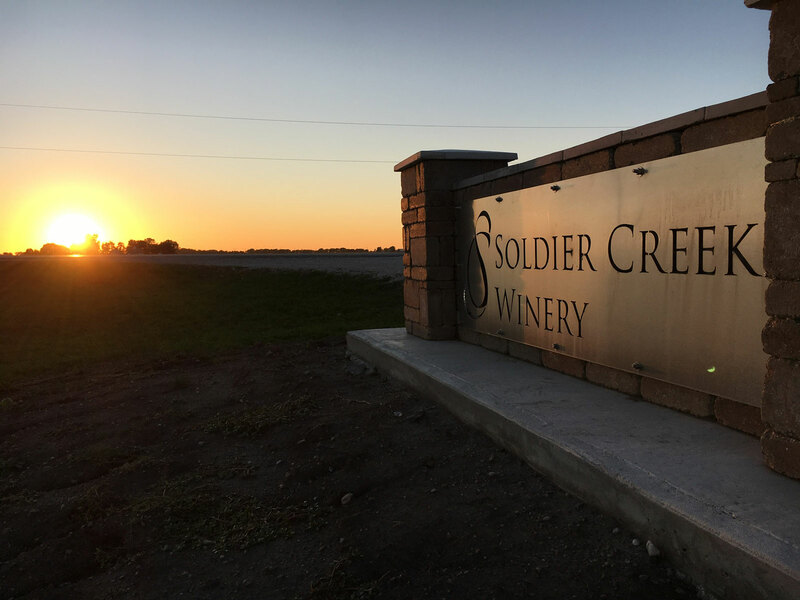 Located north of the Quad Cities, this winery focuses on Iowa-grown grapes; Kohlhaas recommends their Noiret, a peppery, dry red. Winemaker Anne Zwink just won winemaker of the year at the Iowa Wine Growers Association annual wingding, and there's a good reason for that, says Kohlhaas. "She's a real scientist type, she's up there on a farm in the middle of nowhere, creating great wines, mostly from Iowa grapes." Start with Zwink's La Crescent, a crisp, dry white. Marquette There's a lot of this growing, right now—Glyn Mawr does great things with it, says Kohlhaas, so does The Cellar, an easy drive from both Des Moines and Ames. Frontenac "I like all Frontenac wines," says Kohlhaas, who loves how the grape tends to end up in a lot of nice, dry reds. "We have so many of them in here, because I taste it, and I'm like, we should put this in the store!" Once again, Kohlhaas recommends The Cellar as a place to start. "All his grapes are grown within two hours of the winery," she notes. Brianna and Edelweiss These are naturally sweet and floral early harvest grapes. "It's best to just jump in and embrace the sweetness," rather than to be afraid of it. Edelweiss tends to be more floral, and Brianna more citrusy. Start at Train Wreck Winery in Algona, or at Cedar Ridge near Cedar Rapids, where they blend both and call it Atlas. Petite Pearl This is a newer one to watch—go to Cedar Ridge, or to Wooden Wheel, which isn't far from Iowa City. "I'm excited about these Petite Pearl wines right now."